A fullength of furious d-beat madness. This is an amazing follow up to the plit LP w Avfart 33 that came out a couple of year ago now. Got to cut out some parts from the CVLT review to make it stated as an amazing record: "Over ten songs and 30 minutes, this band will hold you captive with their onslaught of fully charged D-Beat. All of their songs have a great sense of urgency infused with an almost bluesy fury. 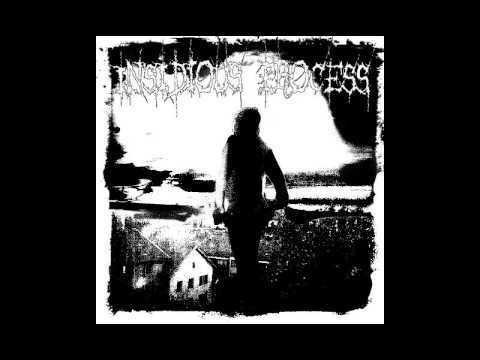 INSIDIOUS PROCESS’s self-titled album is full of emotion that makes you realize our fight against the status quo is not over and has only begun. Every song is an anthem against those that would like to do away with progressive thought. I know that music can be used as a weapon against corruption, and INSIDIOUS PROCESS’ music is a wake up call for us all!"